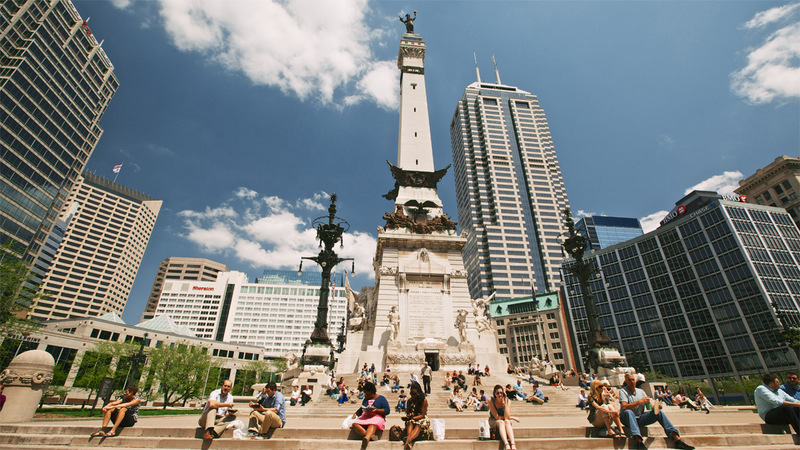 In 1816 the State of Indiana was admitted to the Union. Seeking a suitable site for a capital city, in 1820 a state legislature-appointed committee secured a plat of dense forest near the confluence of the White River and Fall Creek. Alexander Ralston, a surveyor and engineer who had previously worked with Pierre L’Enfant on the plan for Washington, D.C., was hired to design the layout of the new city. Inspired by his work with L’Enfant, Ralston created a Mile Square plan consisting of a central circle with four radiating avenues bisecting a grid of streets. 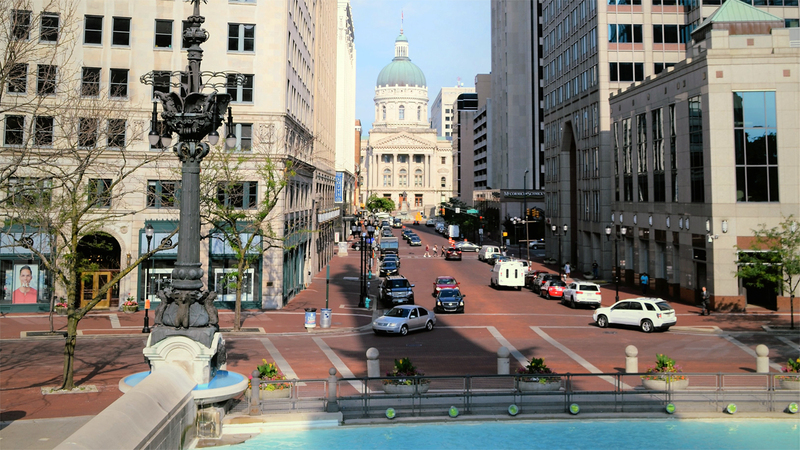 The circle was allocated for the Governor’s House (now Monument Circle), while other plots were designated as the State House, Court House, two markets and three religious institutions. 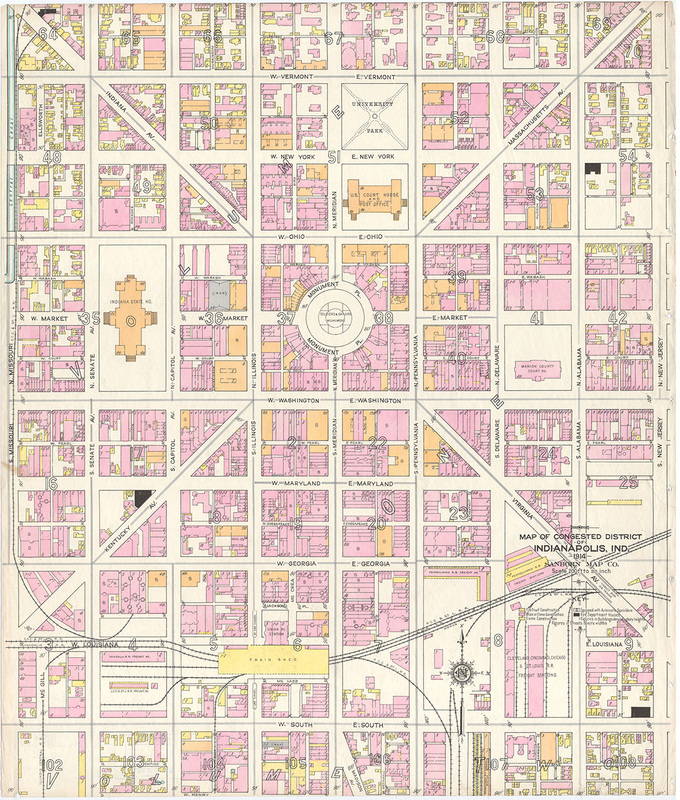 In similar fashion to the nation’s capital, significant streets were named after states, including the four radial arteries: Massachusetts, Virginia, Kentucky, and Indiana Avenues. 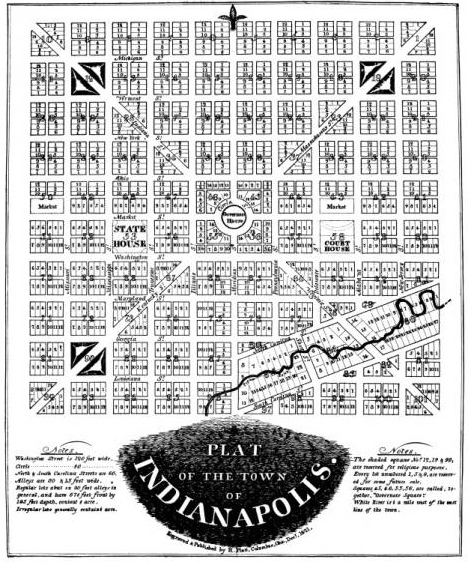 Cognizant of the site’s topography, Ralston designed two angled streets to parallel Pogue's Run creek where it met the grid in the southeast portion of the city, a departure from the otherwise symmetric plan. 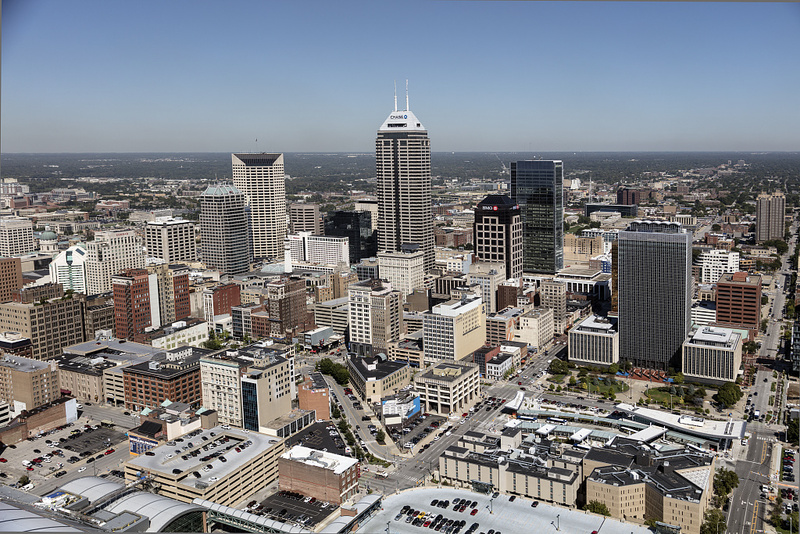 Largely unchanged in its layout, today the Mile Square continues to be the active core of Indianapolis’ downtown. 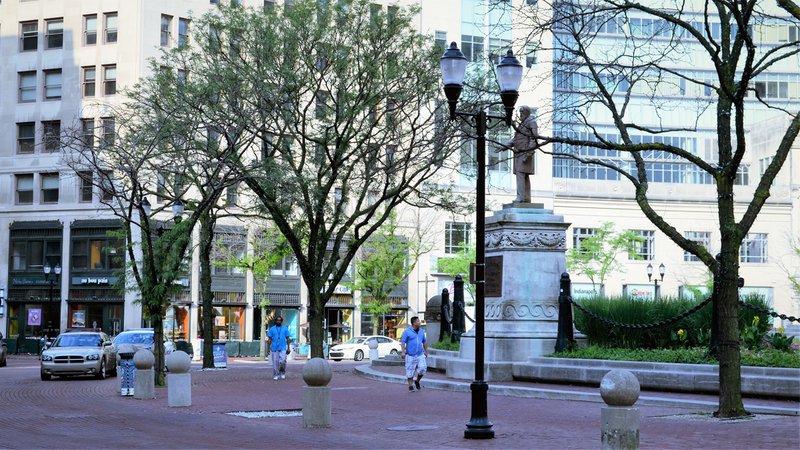 Within the bounds of North, South, East and West Streets, it encompasses the Indiana War Memorials Historic District from Monument Circle northward, and the Wholesale District, an area that suffered from urban blight but has seen a rejuvenation in recent years, to the south. 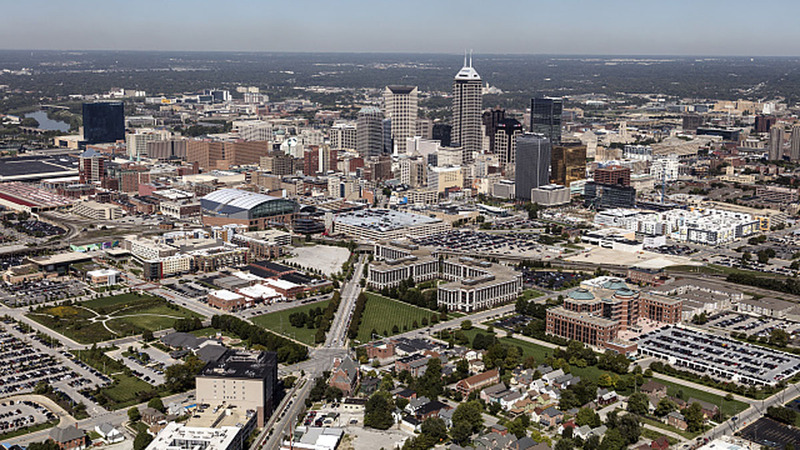 The Cummins Indianapolis Distribution Headquarters, Julia M. Carson Transit Center, Indiana Convention Center, and other prominent designed spaces are situated within the Wholesale District, which was included in the National Register of Historic Places in 1983. 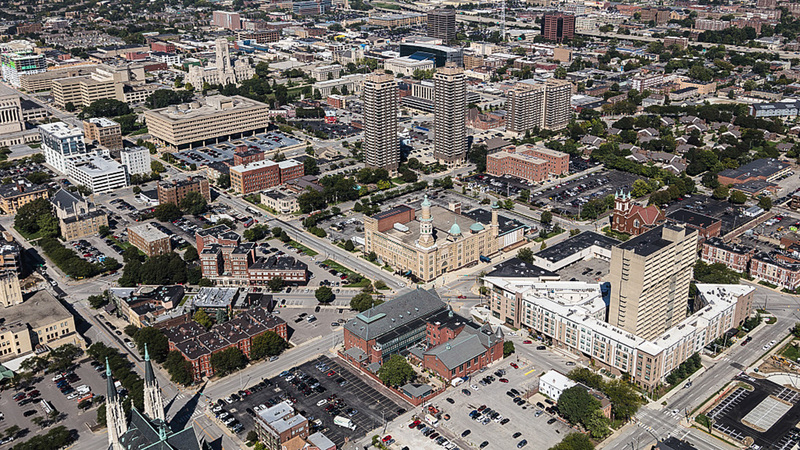 Beyond its Ralston-designated perimeter, the Mile Square is bordered by such significant sites as the American Legion Mall, the Central Canal Walk, White River State Park and the Interstate.